The electric vehicle (EV) battery industry is entering a mature phase. While some companies have been developing products for as long as 15 years, others are less than a decade old. The earliest development efforts focused on nickel-metal hydride (NiMH) and lead-acid batteries, but today companies and automakers have standardized on lithium ion (Li-ion) batteries. 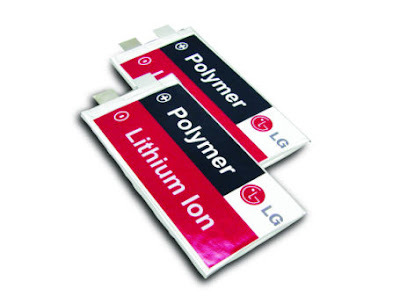 The Li-ion automotive market is currently led by Japanese and Korean companies that originally produced cells for the consumer electronics and computing markets. These veteran companies are gradually being challenged by companies, primarily from China and North America, that are slowly gaining customers, mostly in their domestic markets. According to a new Pike Pulse report published by Pike Research, the manufacturers best positioned to take advantage of these market shifts are LG Chem and Johnson Controls. "Despite significant investment in battery production and technology development in the United States during the past three years, Japanese, Korean, and Chinese companies currently lead in global sales of electric vehicle batteries, and they are likely to continue doing so in the near term," says research director John Gartner. "The market will likely see volatility during 2012 as some supplier agreements change hands, and some smaller companies will likely fail or be acquired due to an inability to reach volume production." The market leader today, LG Chem, was ranked highest in both the Strategy and Execution categories in this Pike report. The company has a diversified customer base of international automotive OEMs that are expected to be among the most successful sellers of hybrid and plug-in electric vehicles. This customer base will likely give LG Chem the largest market share for EV batteries in 2012. In addition, the company has outlined a clear and consistent vision for developing and marketing its technology and has established manufacturing centers in proximity to its major customers. Ranking second in both Strategy and Execution is Johnson Controls Inc., which sells Li-ion batteries to makers of both hybrid electric vehicles and plug-in hybrid electric vehicles in all three of the major regions offering EVs: North America, Europe, and Asia Pacific. The company's diverse product portfolio and its development of energy storage technologies have created a positive reputation for quality within the automotive industry, but it must still translate its automotive relationships into a more significant market share to be considered a leader.